These light, poached goose sausages are packed with flavour, with the bilberries and chestnuts adding an exciting depth to the fantastic goose meat. If you are unable to get hold of bilberries, blueberries will suffice. 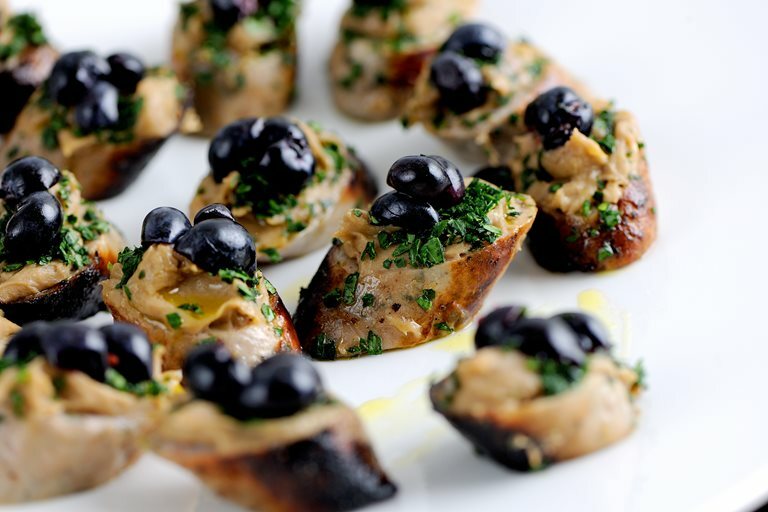 Simon Rogan has created an excellent sausage recipe to make for the Christmas party season for canapés, as seen here, but feel free to save these goosey sausages for yourself for a decadent sausage and mash.